SideFX continua l'esemplare lavoro nella produzione di risorse learning per Houdini 16. La nuova User Guide di Mantra, il motore di rendering proprietario di Houdini, introduce ai concetti chiave come il sampling, il motion blur e il noise removal. Le risorse sono in aggiornamento nella documentazione ufficiale. E' inoltre possibile scaricare dei comodissimi pdf per ognuno degli argomenti chiave della user guide di Mantra. Houdini si conferma un software decisamente importante per la CG Industry, e lo conferma il crescente consenso relativo al suo utilizzo in molti studi di produzione. When light travels through a transparent medium such as glass, the material absorbs a certain amount of light. This effect becomes more obvious when the transparent media has been tinted or colored in some way, like stained-glass or fruit-juice. When rendering with Mantra, this effect can be simulated in variety of ways – using a volume to attenuate light as it travels through an object, for instance. However, for simplicity, a set of parameters which allow an artist to quickly achieve the desired look without the need for complex setups have been provided. 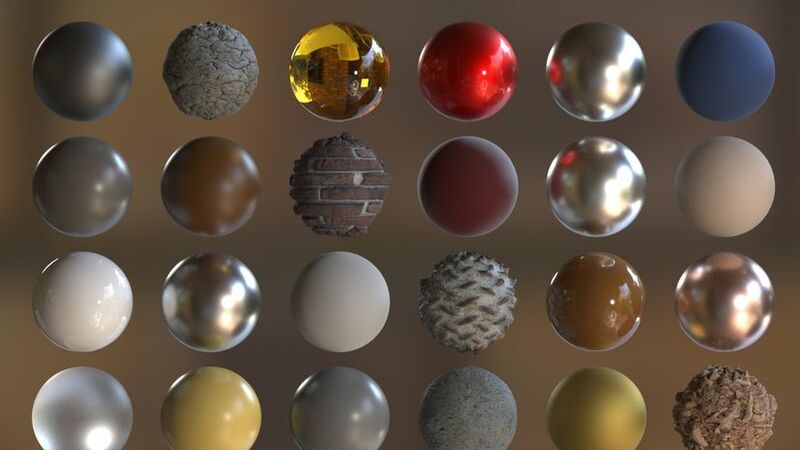 These parameters can be found on the Principled Shader (As well as the Classic Shader). The Sampling Tab can be found under the Rendering Tab on the Mantra Node. The parameters found on this tab control the amount of sampling performed by Mantra while generating an image. Adjusting these parameters will have a dramatic effect on the quality and clarity of your images as well as the amount of time it takes to render them. Changing these values should be done carefully to avoid over-sampling and extended render times. The Limits Tab can be found under the Rendering Tab on the Mantra Node. The parameters found on this tab control the amount of times a ray associated with a specific component is allowed to propagate through a scene. Setting these limits has influence over the final look of your scene as well as the amount of time it will take the render your image without noise. As described in the Sampling section, under-sampling is almost always the cause of noise in your renders. Simply increasing the overall amount of sampling will reduce the amount of noise, but it will also cause many parts of your image to be over-sampled and your render times to increase. Targeting the various types of rays to the correct part of your image is critical for optimization, sending more ofthe wrong kind of ray will not increase the quality of your render. The goal, when setting your sampling parameters, is to balance Speed with Quality. When using a real-world camera, rapidly moving objects can appear blurry or “streaky”. This is because the object changes position while the camera’s shutter is open, allowing its image to be smeared across the negative as it is exposed. This effect is exaggerated the longer the shutter is allowed to remain open. Enabling the Allow Motion Blur toggle on the Mantra node will attempt to replicate the effect of photographic motion blur in your renders. Many of the parameters which control motion blur are designed to replicate the settings on a real world camera, however there are several controls which are meant as optimizations for rendering purposes and have no direct correlation to real world settings. Packed Primitives have information about other pieces of geometry embedded inside of them. This information could be an actual piece of geometry stored in memory, a reference to a smaller part of another piece of geometry, or even a path to geometry stored on disk. The information can then be used throughout Houdini to more efficiently represent geometry in the viewport, in the bullet solver, and in Mantra.